SHW Partner Adam Jordan BSc (Hons) MRICS has accepted an invitation from the firm to be the new Head of our multi-disciplinary Eastbourne office. 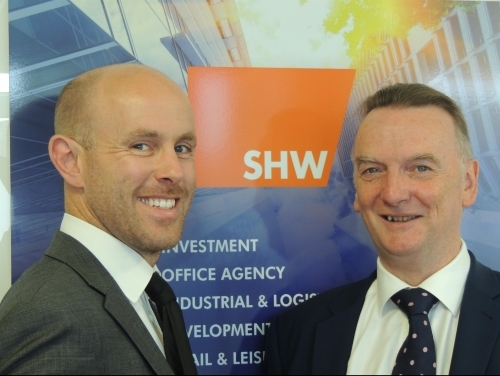 Adam (pictured below left) – who has been with the firm for eight years - will be responsible for the continued good running of the office including fee generation, business development, marketing and cross-selling, and ensuring SHW remains the “go-to” firm of surveyors in the Eastbourne region. Adam specialises in Building Consultancy work. Mark McFadden (above right), who has made an invaluable contribution to the economic development of the town, both in his capacity as a partner at SHW and as a Director and Past President of Eastbourne Chamber of Commerce, will continue in his role in the firm’s Professional Division where he specialises in valuation, rent reviews and lease advisory work. Commenting on his appointment Adam said: “Under Mark’s leadership the office has grown and SHW is well-known and has a respected professional reputation within the town. I relish the opportunity to take on that role and further develop the SHW offering in East Sussex. We not only manage residential blocks but are busy with commercial property agency, lease advisory, valuation and building surveying work. “Last year we sold the 44,000 sq ft former East Sussex Fire & Rescue HQ in Upperton Road, were instrumental in the letting of a 36,000 sq ft new building to Vacgen at Swallows Business Park in Hailsham and are currently advising both public sector and private clients on over 180,000 sq ft of industrial, office and retail premises for rent reviews and lease renewals across East Sussex.